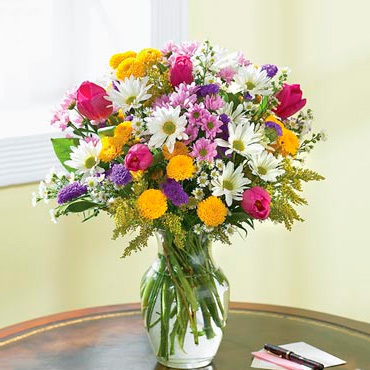 Brighten up someone’s day with this sunny arrangement of mixed flowers. 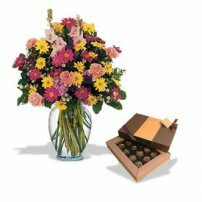 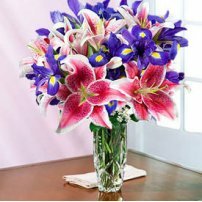 Brilliant and lively, this arrangement is ideal for any occasion! 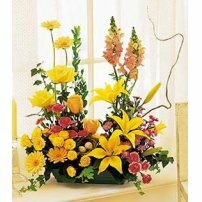 Arrangement of mixed flowers in a vase. 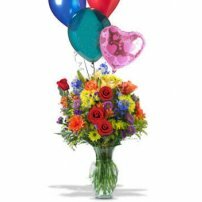 Approximately 17” W. x 26” H.